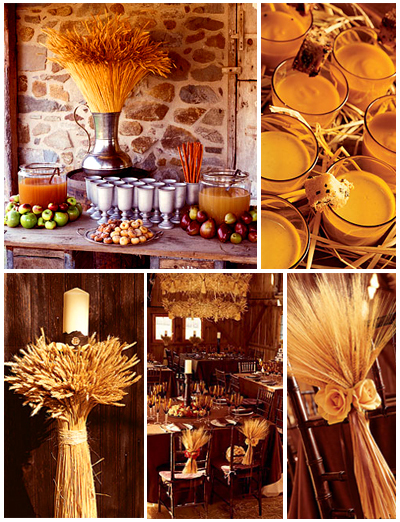 Brides seeking a harvest themed wedding might consider wheat. Wheat sheaths have a simple rustic appeal. To achieve an elegant harvest theme for your wedding, pair wheat with a color palette of chocolate brown and splashes of gold.